Sometimes miss Nico gets the chance to combine her two biggest passions: tattooing and motorcycles. Still in progress and already so incredibly dynamic. 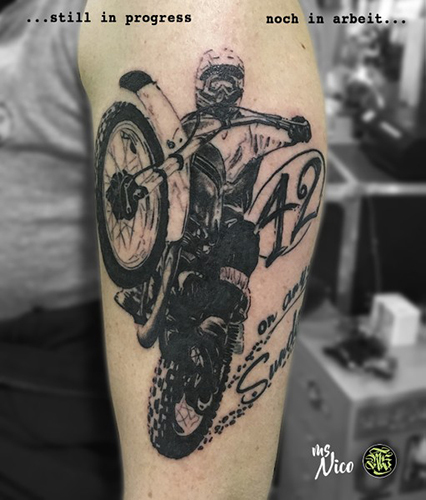 What are your passions, that you would like to have immortalized in a tattoo? Tell us.